Metal’s fractious relationship with electronic music was only ever going to become stronger with time and technology’s inexorable march. Custom-designed to straddle the genres with conviction, The Algorithm have generally represented the moment where the two genres blur into one bludgeoning, digitised whole, but there was a sense that 2014’s OCTOPUS4 album strayed too far into experimental realms and simply wasn’t heavy or metal enough. Brute Force states its intentions from its title downwards; this is a predominantly brutal and joyously metallic third chapter in Rémi Gallego’s genre-shattering story, with juddering riffs underpinning the skittering beats and several moments that verge on outright black metal fury. 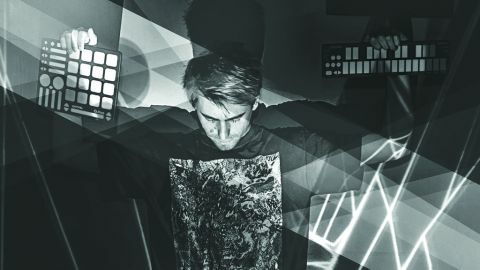 Not that EDM fans will necessarily be alienated by the intensity of the assault; songs like Pointers, Userspace and Hex tip their hats to Sven Vath and Excision along the way, and even the sledgehammer lurch of Deadlock revels against an intricate electronic backdrop with textures and tones that a one-dimensional riff-fest would preclude. But for our purposes, this is simply The Algorithm’s most aggressive, sonically punishing and exciting album to date.